Another road trip through Europe, to Slovakia again. I like road trips. There’s something about taking your car, stuffing it full of stuff, driving a huge distance and arriving somewhere pretty. We did the trip 1400 kilometre trip in three stages. We had a wonderful stopover in Nürnberg. The city was quite beautiful, and we enjoyed the great beers and sausages. 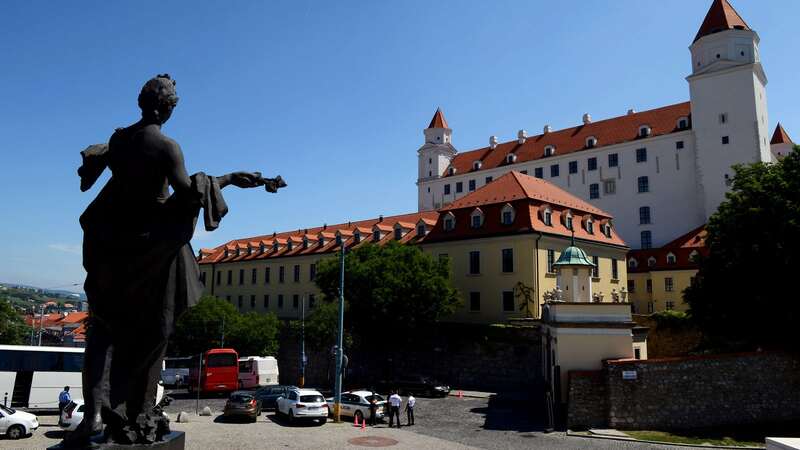 The second stage took us through the width of Austria, to the capital of Slovakis: Bratislava. Once again many a sight was seen. We went up to the castle and presidential palace and enjoyed lots of great local food. The last leg was a three hour trip towards the east of the country, to Zuzana’s home town of Liptovský Hrádok. We had a barbecue and then went to a holiday park close by, in Vlachy. From there we went all tourist on the country. After seeing Trencin Castle, Belianska Cave, the Východná folklore festival, enjoying the beautiful nature, marvelling at the hostility towards tourism, and eating more great food, we went back home. This time in one go.